The sunshine puts a smile on us all, makes the love in us call, makes us want to feel it all. Coming off a white hot 2012 that included the release of their album Army of Mushrooms and their epic tour dubbed "The Unveiling", psytrance progenitors Infected Mushroom are back with their latest release, the Friends on Mushrooms Vol. 2 EP on Steve Aoki's Dim Mak. Infected Mushroom, comprised of members Amit "Duvdev" Duvdevani and Erez Eisen started collaborating in 1997 in Kiryat Yam, Haifa District, Israel. 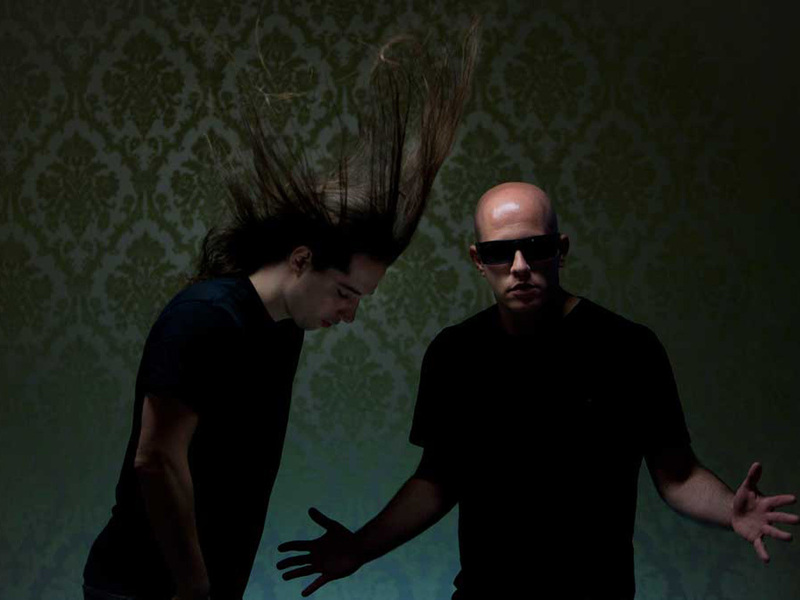 Since their inception, Infected Mushroom has left their stamp on both the dance and rock genres, having worked with Perry Farrell (Jane's Addiction) and Jonathan Davis (Korn), in addition to twice being voted into the top 10 for DJ Magazine's Top 100 DJ's (please note however that they are not simply “DJs”). The group has issued such hit albums as 2009's Legend of the Black Shawarma (which peaked at #9 on Billboard's Top Electronic Albums chart), scored such dance hits as "Killing Time" and "Smashing the Opponent”. As one of Israel’s most successful bands, they have also amassed a loyal worldwide following, and sold out multiple tours and garnered millions of YouTube views. The band, known to average 120 live performances a year, has also brought a revolutionary live show into the fold. The set, a 3D landscape designed by Vita Motus Design Studio and V Squared Labs, is truly one of a kind as the projections add breathtaking visuals to the Infected Mushroom live experience. It’s nearly reminiscent of a sci-fi driven video game that is ping-ponging itself back and forth between 1970’s psychedelia and 2000’s futurism. The band kicked off 2013 by releasing their EP Friends on Mushrooms Vol. 1 that featured collaborations with fellow Israelis Hope 6 and Astrix and found Infected Mushroom exploring more sonic territory including dub, moombahton and electro house. The release was followed by the "Fungus Amoung US Tour" which brought their new live show to sold out dates in LA, NYC, Boston, Baltimore, and Philadelphia. With appearances at Coachella, Ultra Music Fest, Tomorrowland and many other festivals 2013 promises to be a signature year for Infected Mushroom. Now with Vol. 2, Infected collaborate with relative newcomers Savant, Pegboard Nerds and Kels. These new tracks show Duvdev & Erez are still on their quest for new sounds and new experiences for their listeners. The one track that is not a collab is the stunning ‘Trance Party’. This seven and a half minute journey will remind old school infected fans why they came to the party and invite new fans in.